D600 D610 D800 D810. Dell Latitude Models Dell Inspiron Models USB 2.0 to SATA IDE adapter. Dell Precision Models USB2.0 Slim Optical Drive. USB2.0 Slim Portable Optical Drive Case. Laptop Floppy Drive. DELL P/N 0D5174, D5174. Latitude D810. Precision M70. New IDE connector Dell P/N 8267R. Dell HDD caddy/Tray. Hard drive is not included. Compatible system. New Page 1. 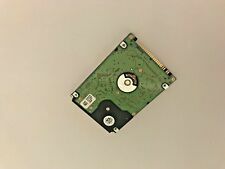 This is Dell Latitude D810 Laptop Hard Drive. Bottom of your laptop has Windows XP COA attached so you have no problem with Microsoft. Windows XP Pro. All windows updates completed. DELL Latitude: D500, D505, D510, D520, D530, D600, D610, D620, D630, D800. D810, D820, D830, D8100, D5100, X1, X300, D400, D410, D420, D430. 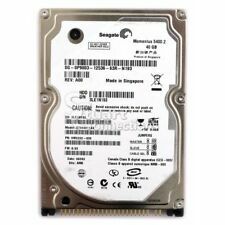 1 x SATA 2nd HDD Caddy. The Dell 2nd Hard Disk Drive Adapter for UltraBay Slim gives you maximum storage flexibility enabling you to add a second Dell notebook hard disk drive to any UltraBay Slim modular bay. 100L, C400, C500, C510, C540, C600, C610, C640, C800, C810, C840, D400, D500, D505, D600, D610, D800, D810. Dell Latitude Dell Inspiron Dell Precision 5pcs Hard Drive Connectors. M20, M40, M50, M60, M70. Also supports Precision M70 80GB. Dell Latitude D610 D810 with Windows XP Professional. IDE Hard Drive and Drivers Pre-installed. Latitude C400, C500, C510, C540, C600, C610, C640, C800, C810, C840, LS, L400, CP, CPi, CPiA, CPiR, CPt, CPtC, CPtS, CPtV, CPx, CPxH, CPxJ, CS R, CSxH, D400, D410, D500, D505, D600, D610, D800, D810, X200, X300. Dell Latitude D500 D505 D800 D610 D810. Universal Hard Drive Connector. But there will be rare occasions when my best efforts are not enough and the item you have received has problems. Best regards. I am easy to work with. I will do my best to answer promptly. 100L, C400, C500, C510, C540, C600, C610, C640, C800, C810, C840, D400, D500, D505, D600, D610, D800, D810. Dell Latitude Dell Precision 1pcs Hard Drive Connector with 4pcs Screws. 1pcs hard drive connector. Cable Power AC Jack. Text-to-speech function is limited to 200 characters. Scots Gaelic. Haitian Creole. Chinese (Traditional). Chinese (Simplified). 100L, C400, C500, C510, C540, C600, C610, C640, C800, C810, C840, D400, D500, D505, D600, D610, D800, D810. Dell Latitude Dell Precision 1pcs Hard Drive Connector with 4pcs Screws. 1pcs hard drive connector (Foxconn). 100L, C400, C500, C510, C540, C600, C610, C640, C800, C810, C840, D400, D500, D505, D600, D610, D800, D810. Dell Latitude Dell Precision 10pcsHard Drive Connector with 40pcs Screws. 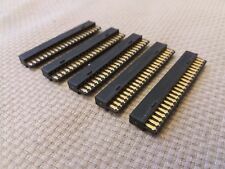 10pcs hard drive connector. DELL Latitude: D500, D505, D510, D520, D530, D600, D610, D620, D630, D800, D810, D820, D830, D8100, D5100, X1, X300, D400, D410, D420, D430. SATA to IDE 2nd HDD HARD DISK Drive Caddy for DELL Latitude D500 D505 D510 D520 D530 D600 D610 D620 D630. DELL Latitude: D500, D505, D510, D520, D530, D600, D610, D620, D630, D800, D810, D820, D830, D8100, D5100. 1 X 2nd HDD Caddy. With the second HDD in your UltraBay Slim, you have the fastest way to back-up key applications and critical data. Dell Latitude D600 D610, D800 D810. Dell Latitude : C400, C500, C510, C540, C600, C610, C640, C800, C810, C840, CS R, CS R400GT, CSx H, CSX H500GT, D400, D410, D500, D505, D600, D610, D800, D810, 100L, B120, B130 series. 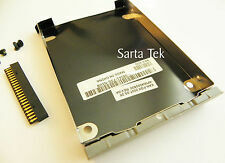 Dell latitude hard drive caddy D810. with adapter IDE 4 mounting screws. 4 x slats mounting screws. 1 x IDE adapter. Form Factor: 2.5" Interface: IDE/PATA Enclosure: internal Capacity: 128gb SSD. 1 x 128gb 2.5" SSD. 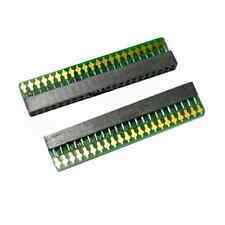 or any other laptop with 2.5"PATA/ IDE 44Pin interface. LENOVO V80. HP NX7010\NX 6125 \3230 PM755. Form Factor: 2.5" Interface: IDE/PATA Enclosure: internal Capacity: 32gb SSD. 1 x 32gb 2.5" SSD. or any other laptop with 2.5"PATA/ IDE 44Pin interface. HP NX7010\NX 6125 \3230 PM755. Acer Travelmate 270 \290 \ 6460 \6492.